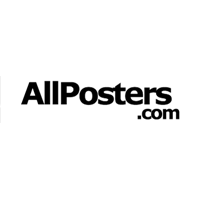 •	New customers are going to have the chance to sign up for the free email newsletter the AllPosters.com group puts out once a week. Those that sign up will get a coupon code good for 30% off their entire first purchase, as well as updates about upcoming deals and special promo coupons in the future. •	Seasonal Sales Events are popular here, with a new special offer being available to customers every month or so. Deals usually revolve around the major holidays or cultural events, such as the Holiday Season Sale or the Back to School Sale. •	Discount codes good for up to 40% off original prices can be found regularly on their Twitter and Instagram feeds. If All Posters has any sales available they will be displayed in a pop up that will be visible when you visit the home page. Generally these sales will help you to save off of items throughout the entire website, such as getting 35% off of the entire site. Other sales can be found on the sale page or by scrolling down the home page. Some of the most popular product categories include posters, art, photography, t-shirts, and more. When you sign up for an account you will be able to upload and print your own photos for displaying in your home or office. For most up to date offers check out All Posters on Facebook and Twitter or contact All Posters Support for any questions.